An introduction to the history, landmarks, and natural life of Fernandina. A description of the journey to—and arrival at—Cedar Key. The rail, the towns, and the various features of the landscape are described. The journey continues to Tampa, where the workings of the city are observed. There are pests and problems as well as the beauty of the natural world. The journey concludes with an exploration of Rocky Point, Pinellas, and the surroundings. A view of the workings and wildlife of the area is presented, with details of the history accompanying the descriptions. Stearns, R.E.C.. American Naturalist: Rambles in Florida. Lit2Go Edition. 1869. Web. <https://etc.usf.edu/lit2go/52/american-naturalist-rambles-in-florida/>. April 20, 2019. R.E.C. 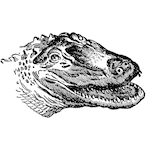 Stearns, American Naturalist: Rambles in Florida, Li2Go edition, (1869), accessed April 20, 2019, https://etc.usf.edu/lit2go/52/american-naturalist-rambles-in-florida/.